Posted: Monday, June 4, 2018. 7:20 am CST. 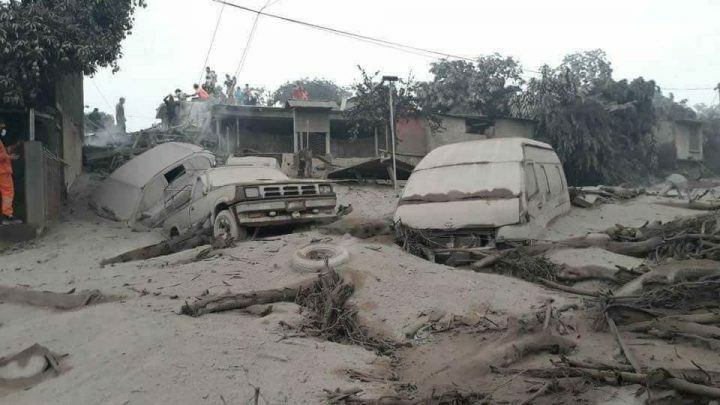 By BBN Staff: Guatemala’s Fuego Volcano located some 25 miles from Guatemala’s capital city erupted yesterday sending a river of lava to several villages. Guatemalan authorities have informed that the death toll has risen to 25 and over 400 people have been injured. Many people are still missing. Authorities are still conducting search and rescue operations. Over a million people have been affected by the eruption. Last night, the Guatemalan government declared a State of Emergency as a result of the tragedy. President Jimmy Morales also issued a release announcing the declaration of three days of National Mourning. Guatemala’s army and all of Guatemala’s emergency response teams were activated yesterday and at least 2 firemen have lost their lives. The Fuego volcano is the most active volcano in Central America. Israel today announced that they are sending aid to Guatemala to assist their government and people.